2D battle action game revealed in Weekly Jump. 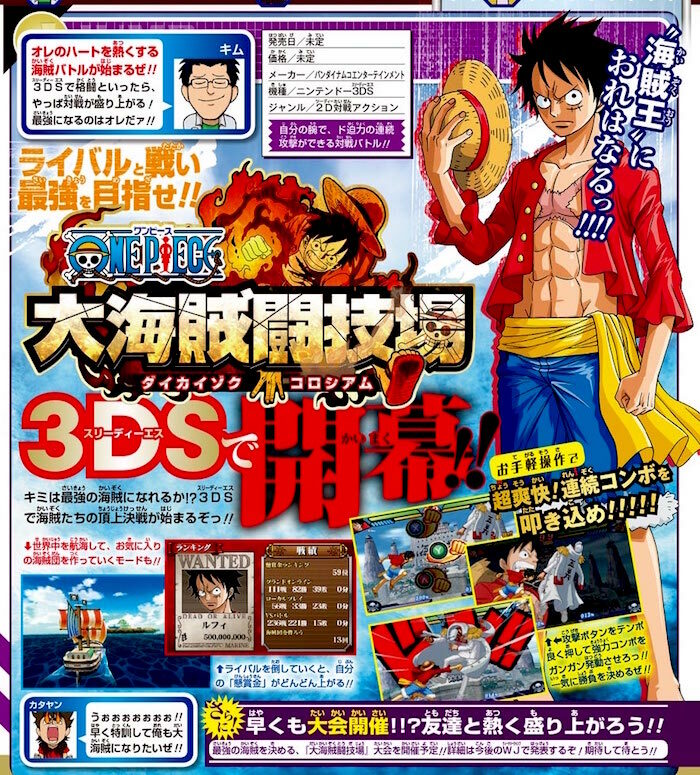 Bandai Namco is developing a new One Piece Game 2D battle action game for 3DS called One Piece: Great Pirate Colosseum, the latest issue of Jump reveals. The magazine doesn’t reveal much in the way of details. There will be a mode where you sail around the world and build a team of your favorite pirates. Defeating rivals will steadily increase your bounty. There are also combos and simple controls. A release date and price were not announced.